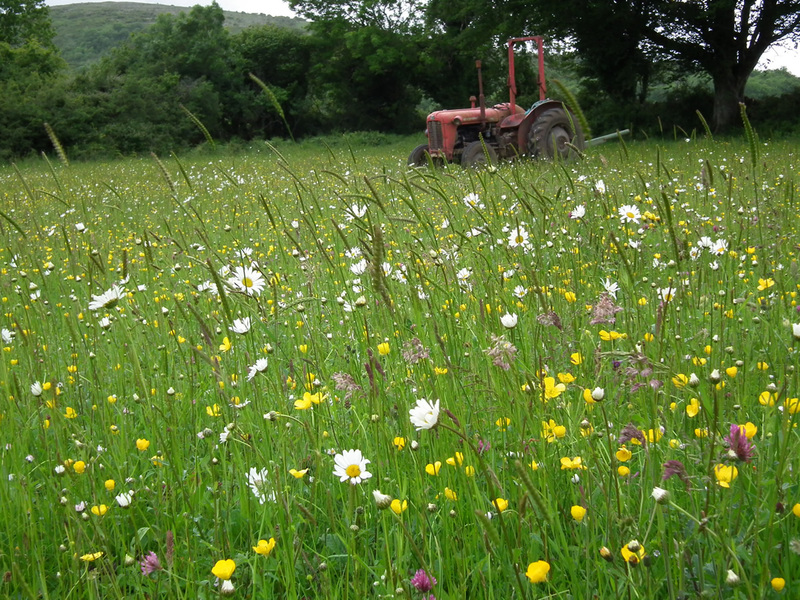 The actions supported by Burren Programme vary from farm to farm and from year to year, allowing the farmer the flexibility to tailor these actions to the needs of his/her farm at that point in time. The works undertaken on any farm are nominated by the farmer in conjunction with his trained farm advisor, who then proceeds to ‘map’ these actions and allocate a cost for each one. 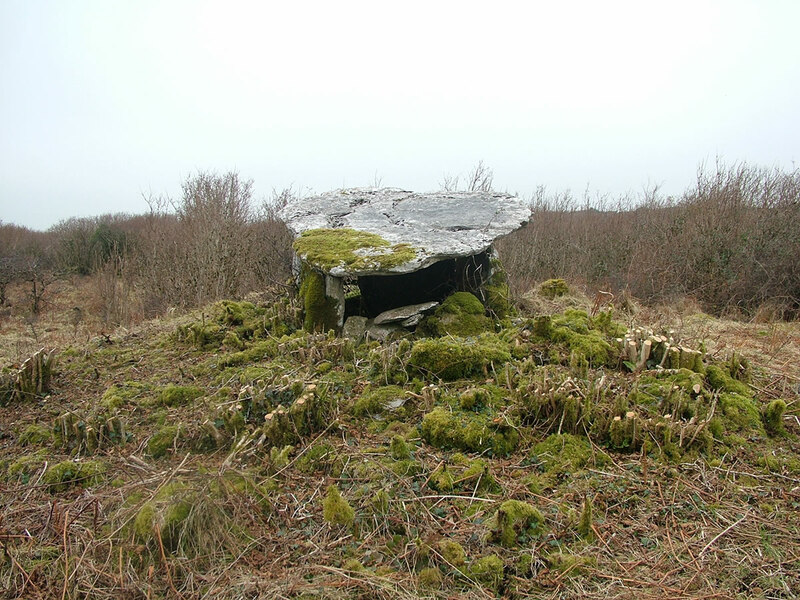 These proposed actions are then assessed by the Burren team on the basis of their environmental benefit and their ‘value for money’, while also ensuring all required permissions have been secured. 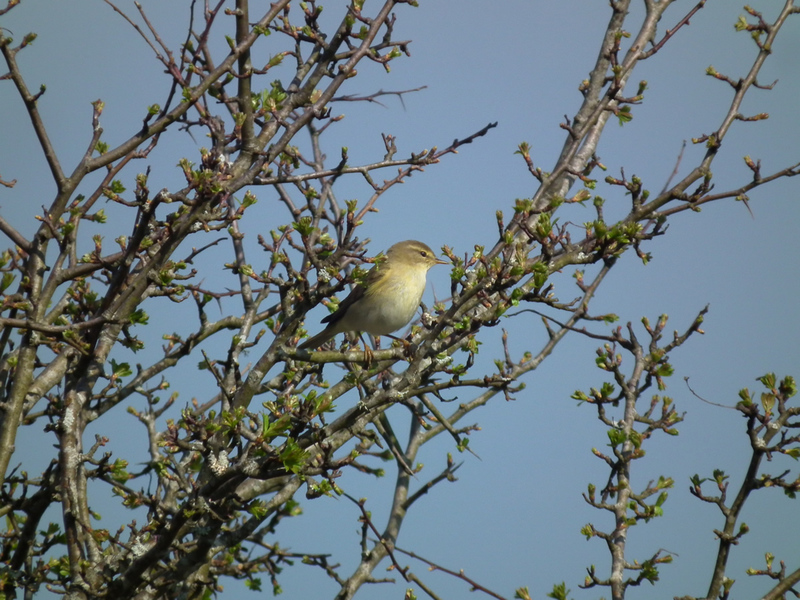 All works are co-funded by the farmer – the level of co-funding is based on the environmental benefit generated – and carried out by the farmer and/or contractors before payment issues. 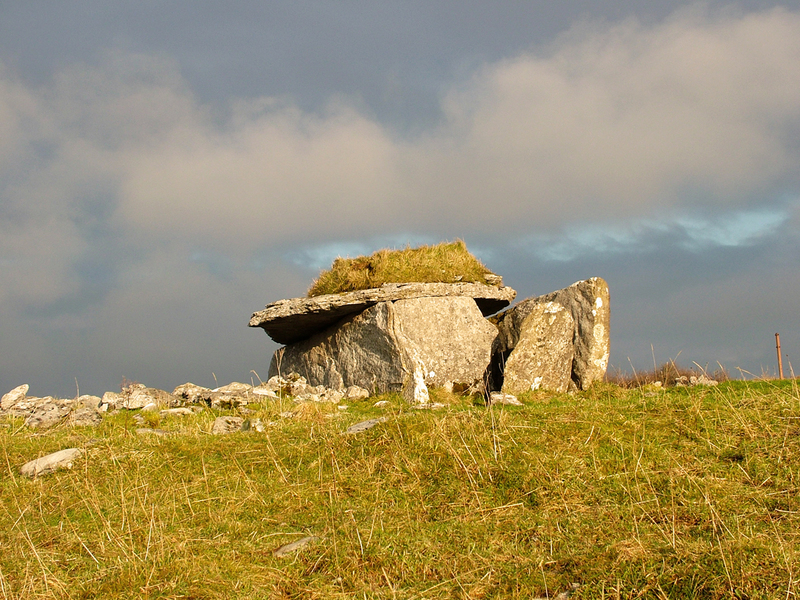 Some of the main works funded through Burren Programme are listed below. 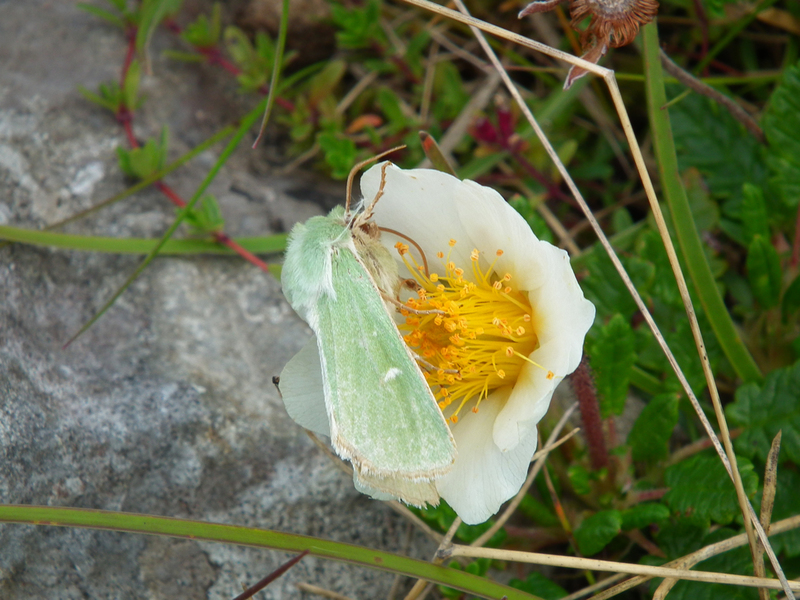 For a full description of these works, and a breakdown of works carried out under the Burren Farming for Conservation Programme (BFCP) and Burren Life Programme (BLP), predecessors of Burren Programme (2010-2015), please see the 2016 Burren Life Programme report in the Resources section. Examples of such works are also listed below, under the separate works headings. 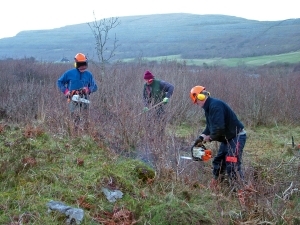 Hazel and blackthorn scrub is a natural part of the Burren landscape. 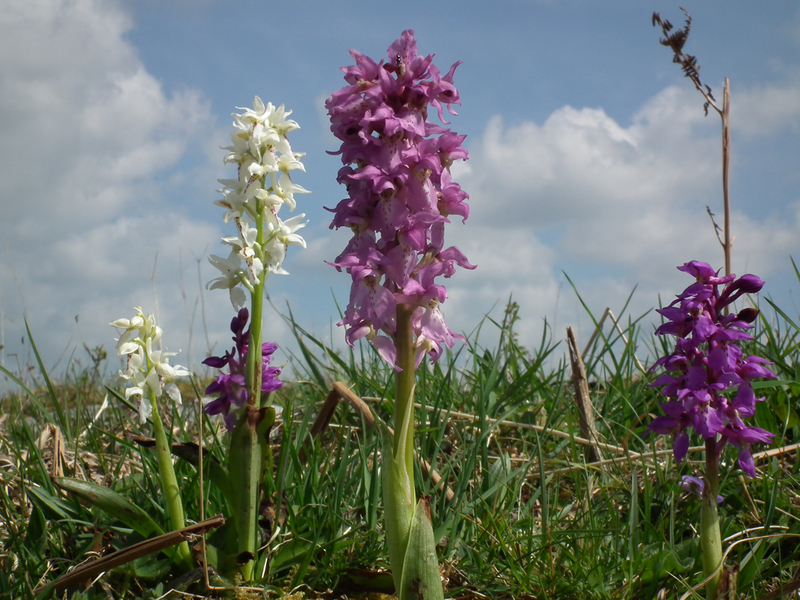 However, due to a number of complex reasons, including changes in farming practices, reduction in human use of scrub and changes in weather patterns, this scrub is now spreading at an unprecedented rate on to the Burren’s orchid-rich grasslands. 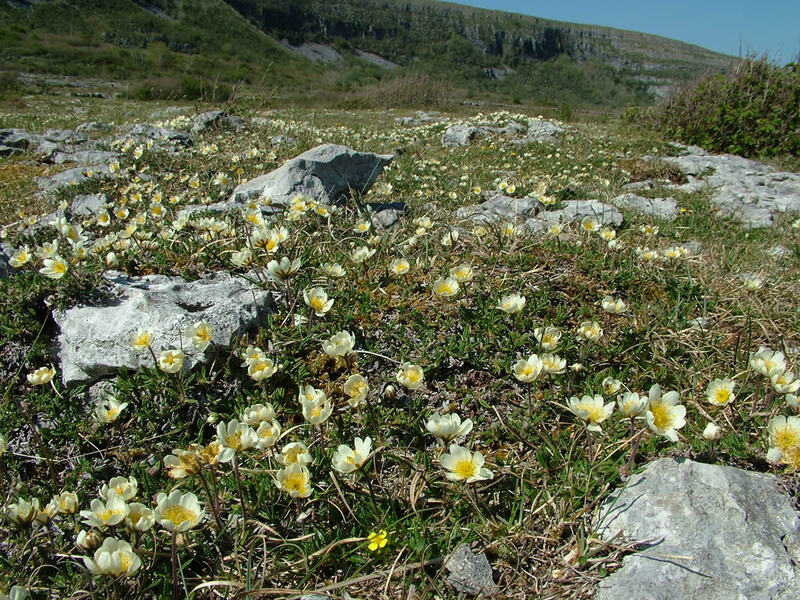 This results in a loss of this rare habitat and a threat to the region’s archaeology, while also limiting access for people and livestock. 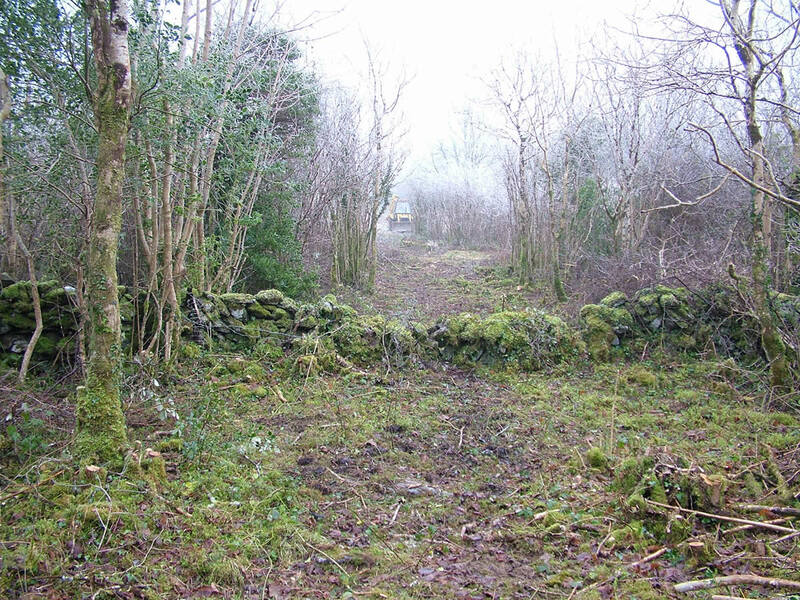 With support from BFCP (75% co-funding), farmers have removed 214ha of encroaching scrub and opened up a remarkable 137km of 3-4m wide access pathways through the scrub. This slow, tedious, difficult work has been done mostly using hand tools and has required a BFCP investment of €1.925m, but it has greatly improved the habitats and management systems of many farms. 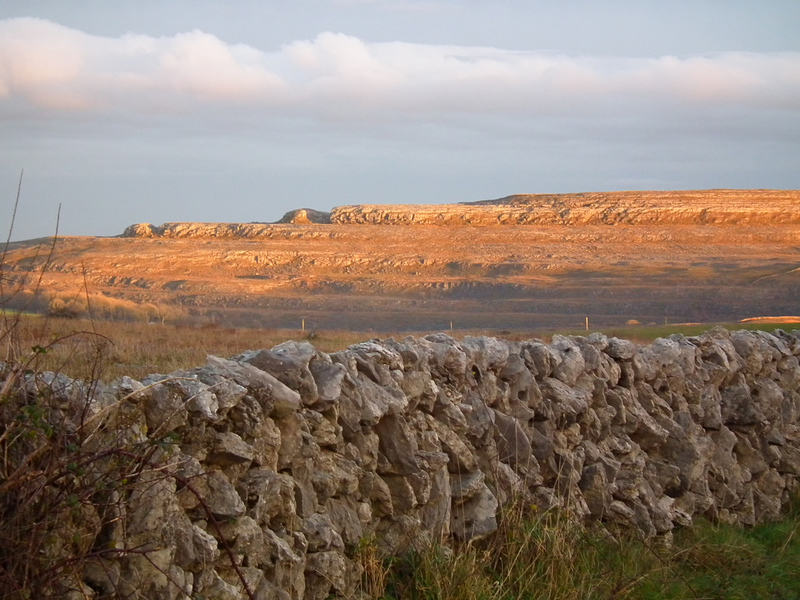 The stone walls of the Burren are probably its most defining cultural feature, while also being crucial in the management of the farms. 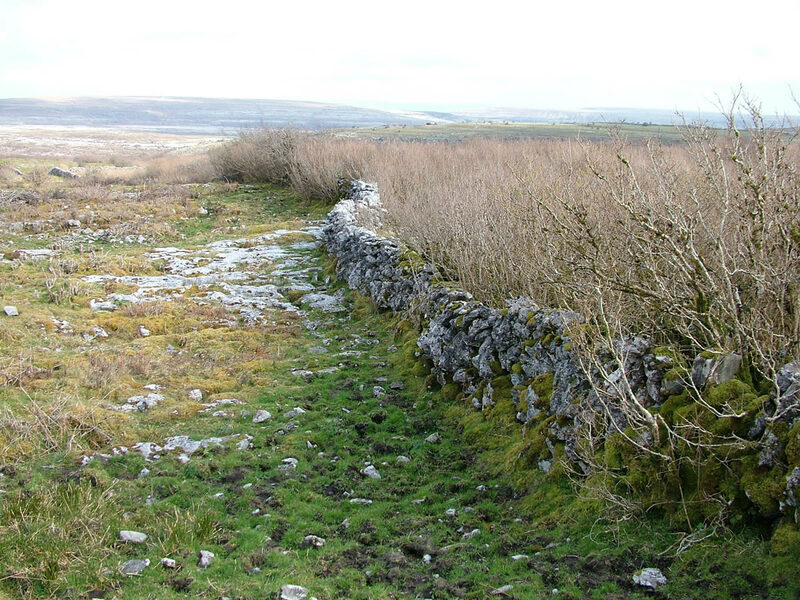 Burren Programme funds the repair of internal stone walls as this contributes to more targeted grazing and more efficient herding, and greatly improves the visual appearance of the landscape. 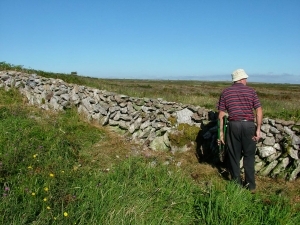 Over a five year period, Burren Life farmers repaired a remarkable 89,000m of broken wall, as well as erecting 22.5km of wire fencing (mostly on green land, to separate summer land from winterage). 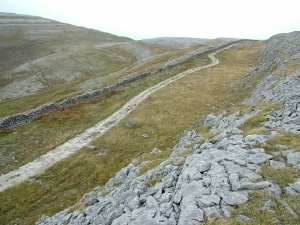 BFCP invested €335,000 in this work, which was funded at the rate of 75% of the cost. 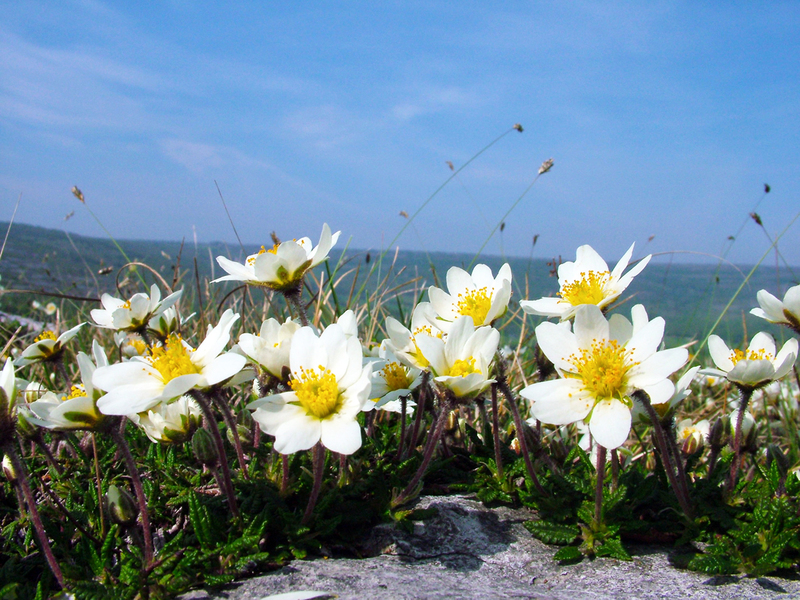 One of the main objectives of the Burren Programme is to ‘contribute to improvements in water quality and water usage efficiency in the Burren region’. 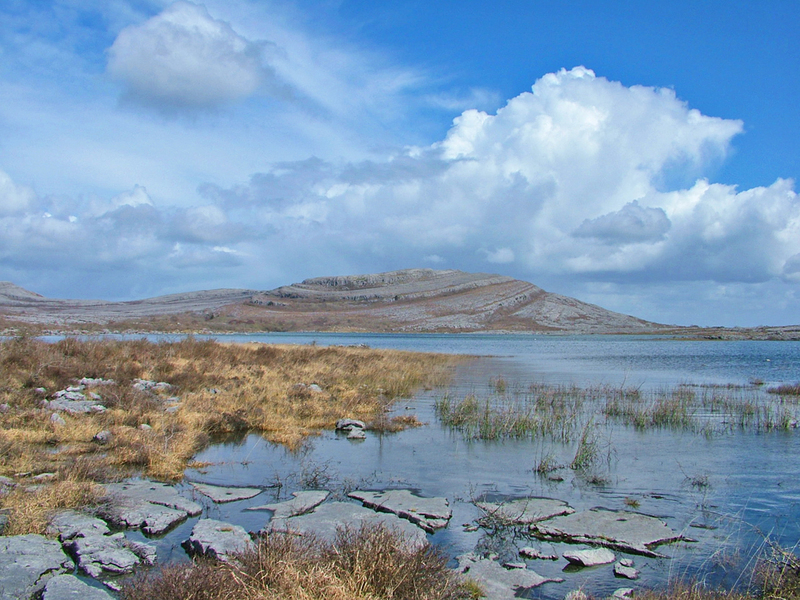 The provision of a clean supply of fresh drinking water for livestock is critical for the targeted grazing of Burren winterages, while clean water benefits everyone in the local community. Existing water supplies – mainly weak springs – are often insufficient to meet livestock needs, and are very prone to pollution from overuse by livestock. This is tackled in one of two ways: piping water away from springs to a storage facility and on to drinking troughs or fencing off the springs and installing rainwater harvesters instead. 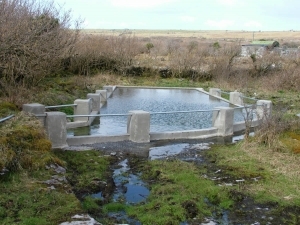 The springs are kept clean, and pollution-free and therefore the water quality of the Burren improved. 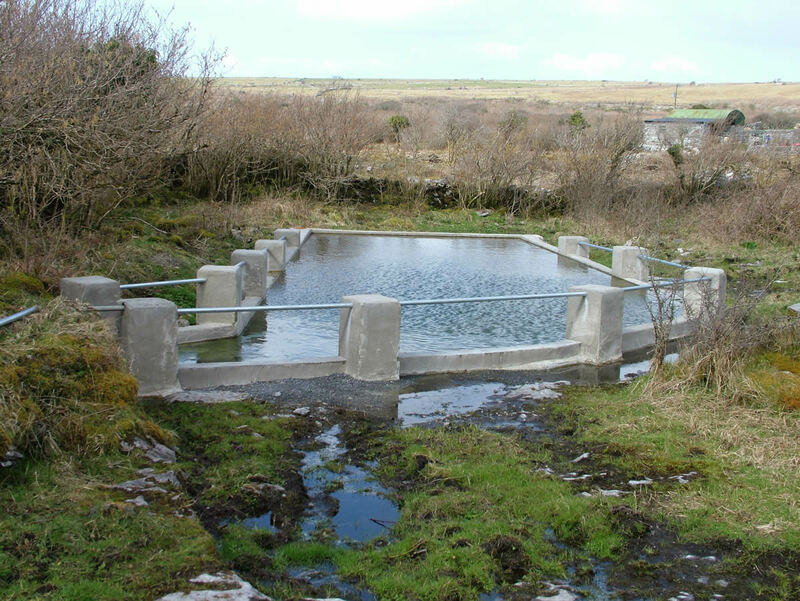 Over 5 years, BFCP invested over €200,000 in improving water provision in the Burren, and this funding was matched by local farmers. Work done included the installation of 383 new drinking troughs, 65 storage tanks, 30 pumps (incl. 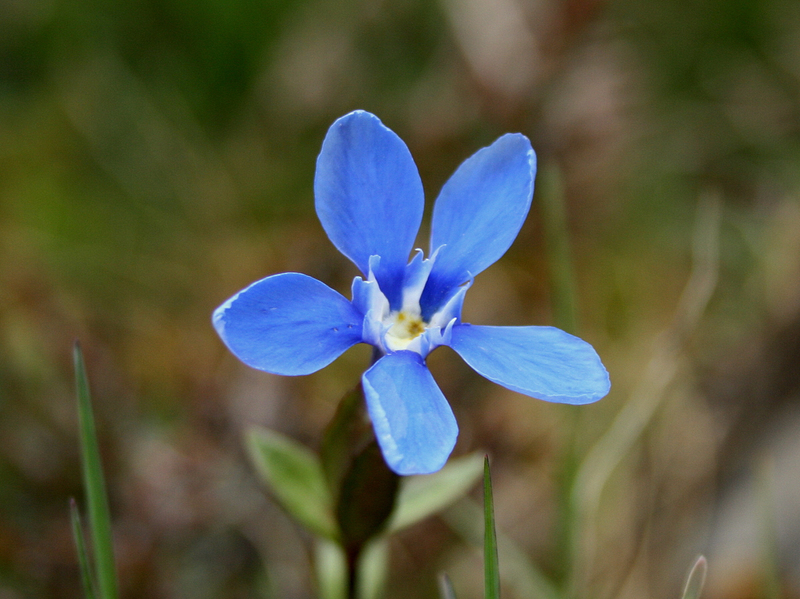 wind and solar) and many other tasks. 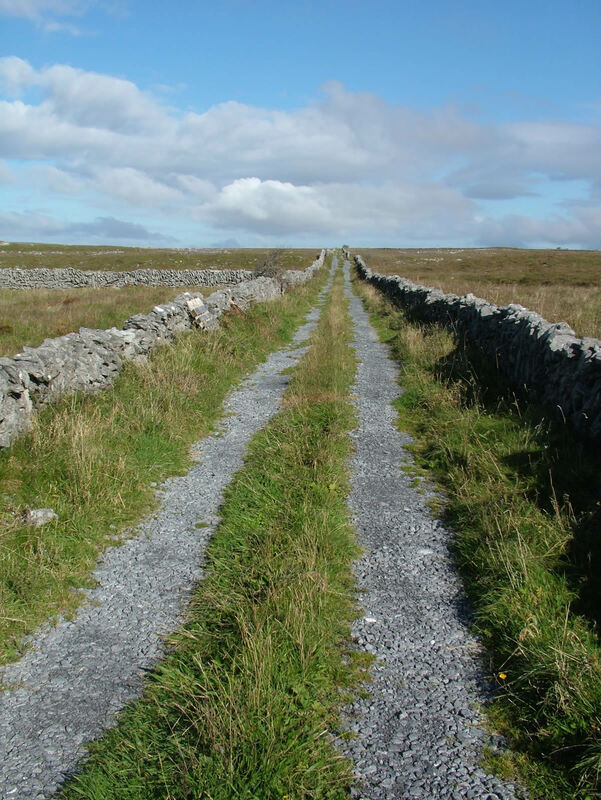 Given that many Burren farmers now have off-farm jobs, and given the rough, extensive nature of Burren farms, the provision of vehicular access tracks to enable farmers to herd livestock more efficiently is a high priority for many farmers. 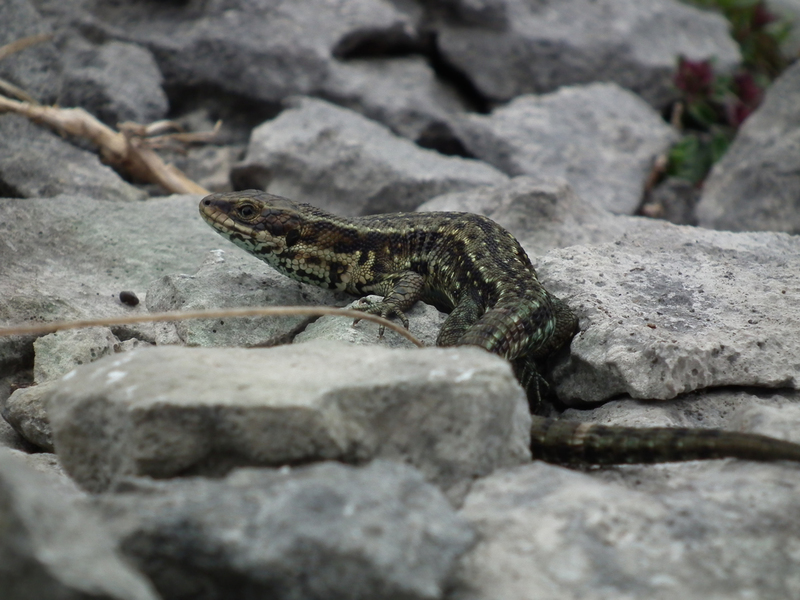 This is a very sensitive issue however as tracks may result in damage to priority habitats. 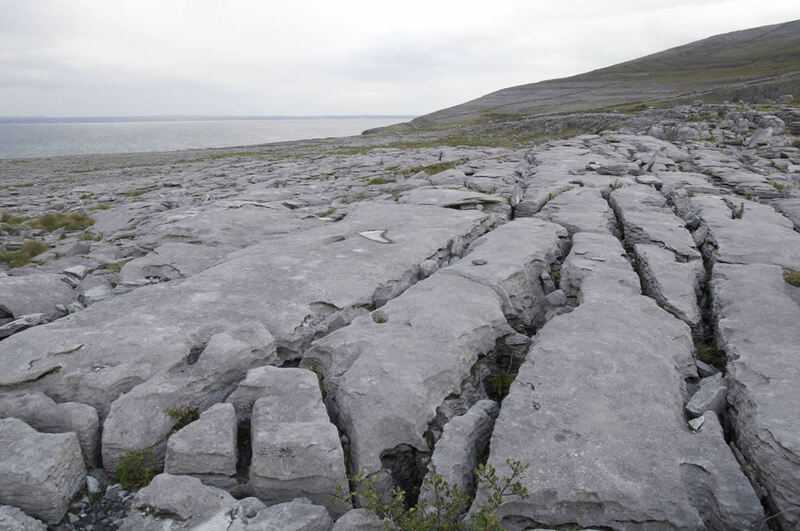 Burren Programme works closely with farmers and conservation authorities to plan access routes where appropriate and justified, and works to ensure these tracks do the least possible damage to habitats and archaeology. A well built track can greatly improve site management and provide a very positive investment to ensure the ongoing management of areas which are otherwise at the risk of partial or total abandonment. Many such tracks may also enhance the experience of visitors as they hike through the Burren. BFCP invested €123,000 (matched by 370k from farmers) in building 19.4km of new track and upgrading 25.8km of existing tracks. 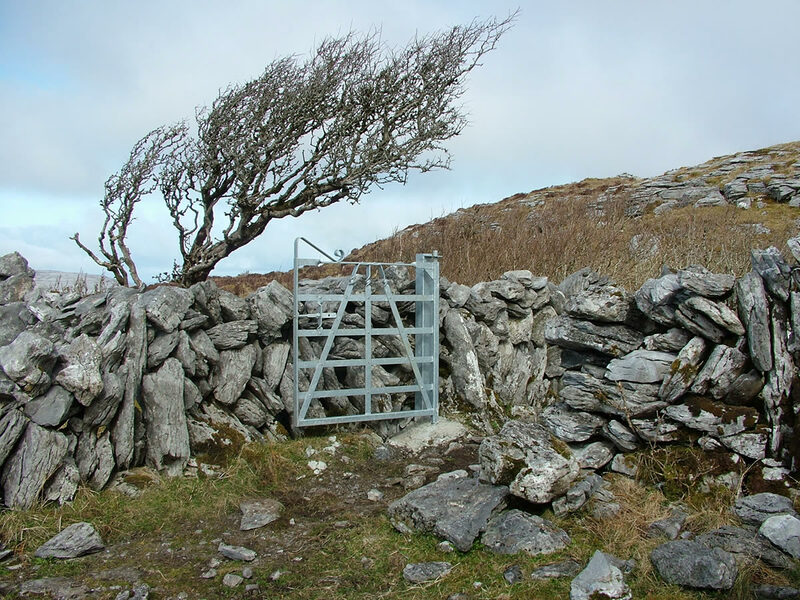 Gates are important, functional items on Burren farms, enabling better grazing and easier herding. The use of timber pallets and other materials to block gaps is unsightly, particularly when compared to a nice, traditional gate. 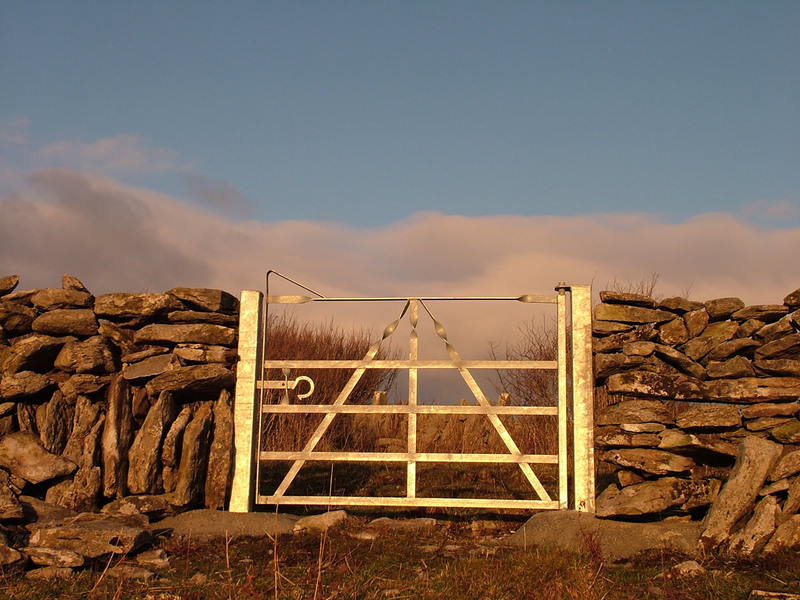 BFCP invested €97k in the installation of 605 new gates in the Burren, including 115 locally manufactured traditional Burren gates which fit very well with the local stone walls. 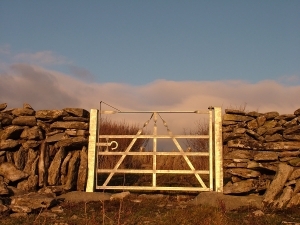 Farmers fund 35-50% of the cost of these gates. 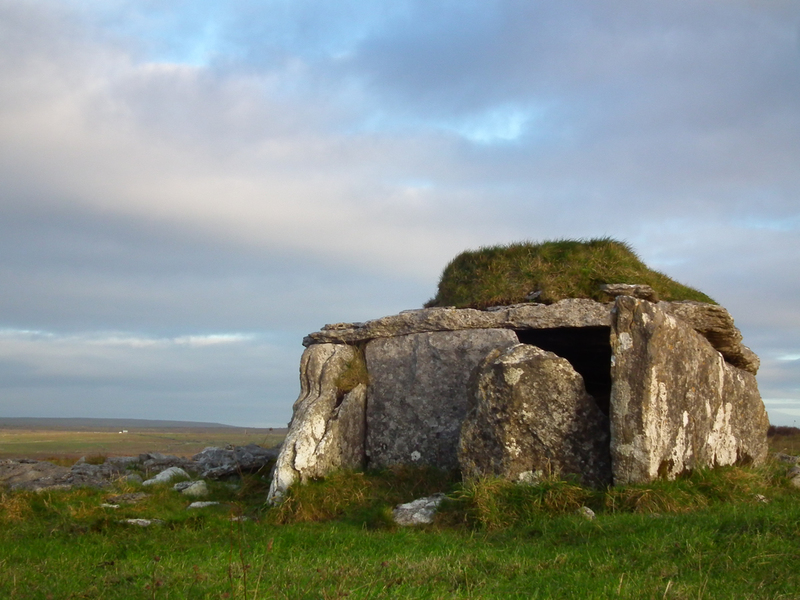 Over the past few decades, most Irish farmers harvest silage every year to feed their livestock over winter. 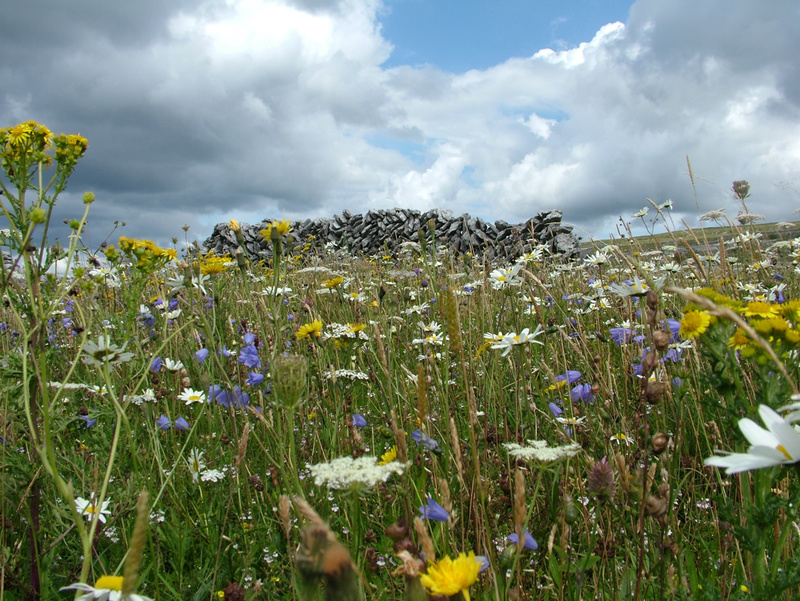 Silage, when fed excessively on Burren winterages, can cause many problems including water pollution and soil damage, as well as contributing to a shift in the local ecology and the encroachment of scrub. 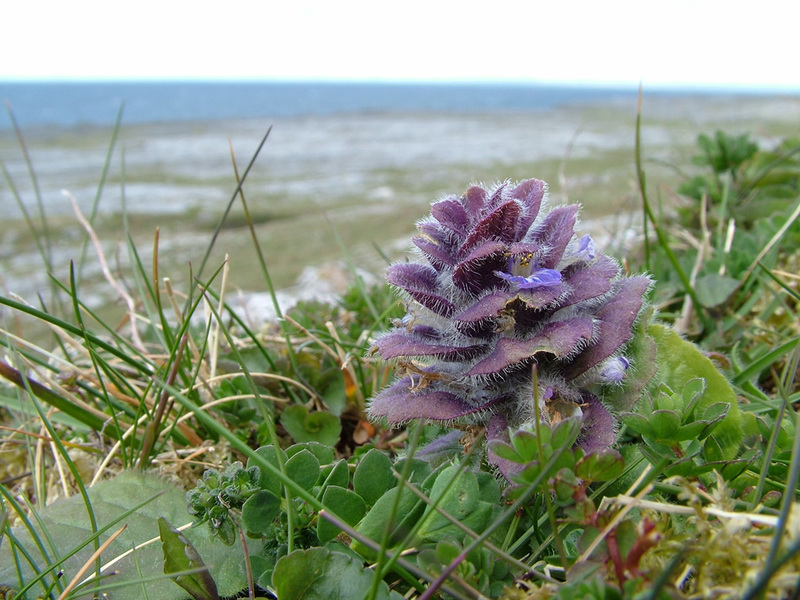 However, outwintering livestock do need supplementary nutrition, so under the Burren LIFE research project, a concentrate ration was developed to meet the animals nutritional needs while increasing uptake of rough forage. To encourage farmers to move from silage to ration feeding, BFCP has paid €47k to farmers to purchase 118 feed bins and silos to store feed and 173 feed troughs to distribute it to livestock. 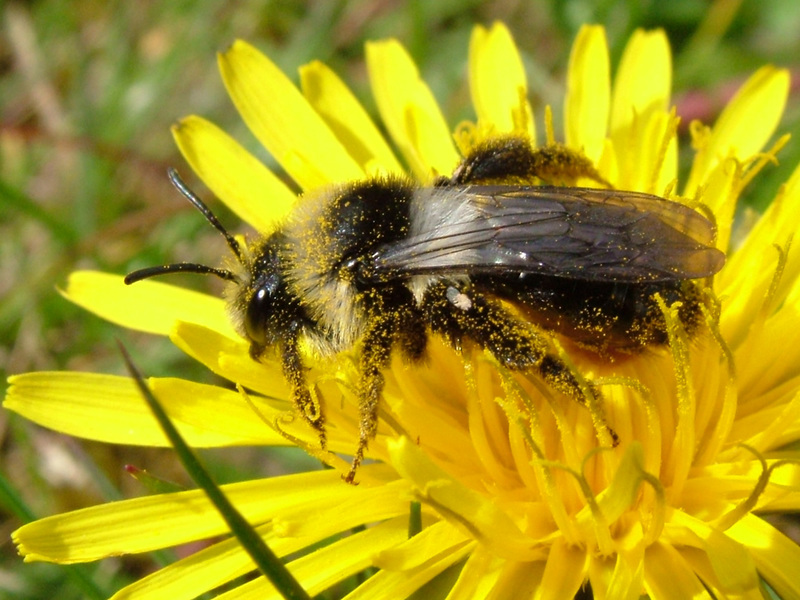 This has contributed to the cessation of silage feeding on many winterages and a consequent improvement in water quality, soil and habitat health. 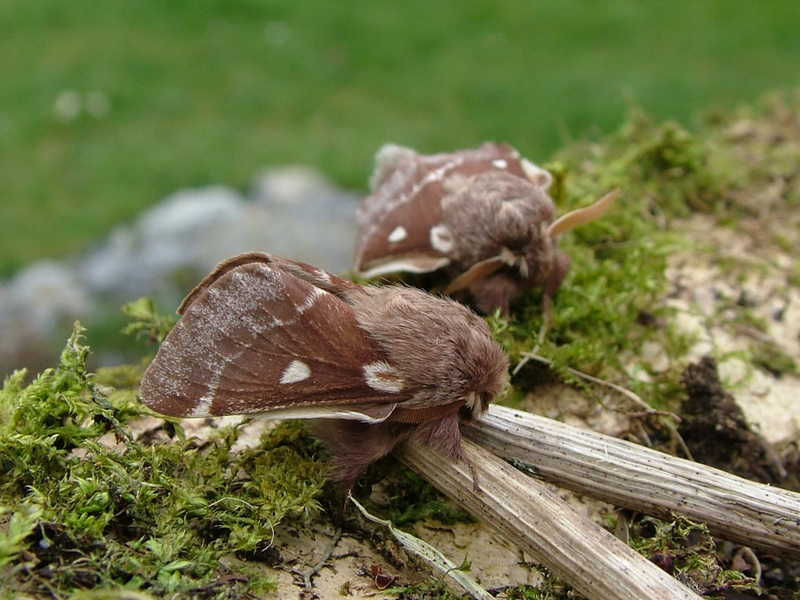 Many of the Burren’s habitats are sensitive to a number of threats, including pollution by livestock, fly-tipping of rubbish and natural incursion of unwanted species such as bracken. Farmers who wish to address some of these threats and restore damaged habitats may avail of Burren Programme funding (up to 75%) and over the past 5 years €49k has been invested in such works as bracken control, rubbish removal, the cleaning out and walling-off of sensitive springs.